Mercedes wants to offer people an experience wherein they can imagine sitting comfortably in a luxurious automobile, with ample space, having face to face conversation with leg room to spare, checking email or completing up that work project, while the car they are taking to meeting is cruising along with no driver at the wheels. This is the experience that Mercedes wants to offer with its F 015 Luxury in Motion, a computer-driven autonomous vehicle. According to experts, driving will no longer be needed in car transportation. It is going to be the place to socialize, relax, work and do anything and everything, excluding to pay attention to the road and other drivers, safety lights and speed zones. Bengaluru - Mercedes-Benz Research and Development India (MBRDI) on Tuesday inaugurated its second dedicated facility at Whitefield here. Spread across an area of 266,000 sq ft with a capacity of over 2,400 people, it is located close to the head office of MBRDI, the company said in a statement. "MBRDI plays an important role within our global research and development organisation and this new facility is another milestone in the growth story of Mercedes-Benz R&D in India," said Thomas Merker, Vice-President (Body, Safety, Telematics) Mercedes-Benz Cars Development and acting Chairman, MBRDI. Washington, July 7 : Mercedes-Benz has reportedly unveiled a demonstration video of an 'auto-driven' truck named Mercedes- Benz Future Truck 2025, showing the vehicle driving on its own at high speeds on Germany's autobahn. The truck uses a system called 'Highway Pilot', using which the human driver is able to switch control of the truck to the vehicle's embedded system and ride hands-free as a passenger. Pune: German car-maker Mercedes Benz on Thursday rolled out the locally made diesel variant of its luxury sedan S Class 350 priced at Rs 1.07 crore (ex-showroom Maharashtra). This is for the first time that Merc is introducing the diesel variant of its popular S Class models. Besides, the company also commenced generation from its 100-kw rooftop solar plant at the Chakan facility, which will produce 1.50 lakh units of power annually. New Delhi, May 15 : Luxury automobile manufacturer Mercedes-Benz India Thursday launched its high-performance sports utility vehicle (SUV) ML 63 AMG priced at Rs. 1.49 crore (ex-showroom, Delhi). "The new ML 63 AMG sets new standards in terms of performance, exclusivity, efficiency and a superlative driving experience," said Eberhard Kern, managing director and chief executive, Mercedes-Benz India. According to the company, the new vehicle is powered by a 5.5-litre V8 biturbo engine, which develops a peak output of 410 kW and maximum torque of 760 Nm. U. S. traffic safety regulators have dragged Mercedes-Benz C-Class cars under scanner to investigate a technical glitch in the luxury vehicles' rear light system. According to a statement by the National Highway Traffic Safety Administration (NHTSA), the stop, tail & turn signal lights in Mercedes-Benz C-Class vehicles can fail due to a melted electrical connector. Initial investigation has suggested that overheating of connectors caused melting, smoke or fire. London, Nov 29 - Mercedes team principal Ross Brawn is set to leave the team at the end of the year following changes to the management structure. According to the BBC, Brawn revealed that the most important consideration in his decision to step down was to ensure the timing was right for the team in order to ensure its future success. Executive directors Toto Wolff and Paddy Lowe will lead the team, whose drivers are 2008 world champion Lewis Hamilton and German Nico Rosberg, the report said. 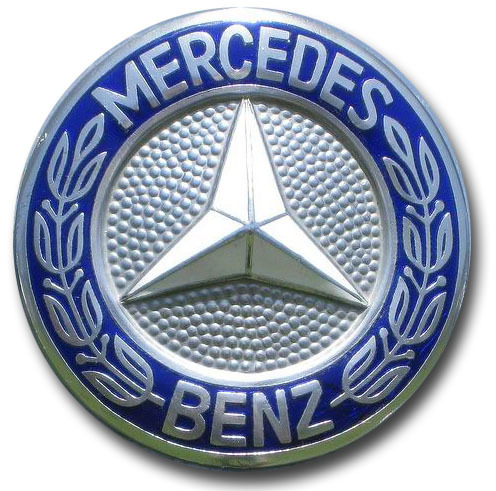 Sydney, Oct 7 : Stuttgart-based Mercedes- Benz has reportedly sold a record number of cars in September. The luxury carmaker said that it sold 1, 42, 994 vehicles during September, up by 15.9 percent for the same month a year before. According to news. com. au, September sales rose 6.7 percent in the US, Mercedes' biggest single market, and 21.2 percent in China, while in Germany it rose only 1.5 percent. The Indian arm of luxury carmaker Mercedes-Benz has rolled out the locally assembled Mercedes-Benz GL 350, which is the first ever GL car that the company assembled outside the U. S.
The Mercedes-Benz GL 350 CDI BlueEfficiency SUV made its Indian debut earlier in May this year, and the company has only now began producing it locally. Earlier, the SUV was produced only at the company's Tuscaloosa plant in the U. S.
New Delhi, July 25 : German luxury automobile manufacturer Mercedes-Benz Thursday launched its sports sedan car E 63 AMG priced at Rs. 1.29 crore (ex-showroom Delhi). "With this launch, we now have a very unique and broad range of product offering in India," Eberhard Kern, managing director and chief executive, Mercedes-Benz India, told IANS. "We have gone ahead and launched various new products this year. We have been getting a very good response from the customers." 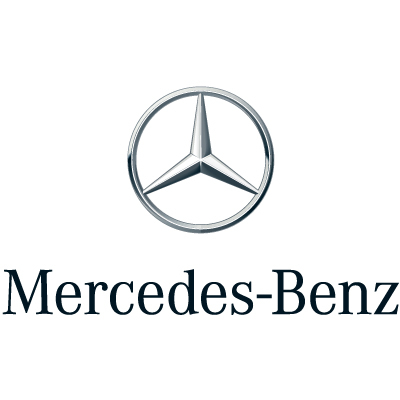 New Delhi, June 25 : Luxury automobile manufacturer Mercedes-Benz Tuesday launched a new version of its most successful sedan E-Class. According to the company, the new sedan will be available in petrol and diesel powered variants which are priced at Rs. 41.50 lakh and Rs. 44.48 lakh, respectively (ex-showroom Delhi). The company will also go ahead with the sale of 100 limited edition units of the sedan which will be priced at Rs. 49.90 lakh. New Delhi, May 16 : German automobile major Mercedes-Benz Thursday launched an all-new luxury SUV (Sports Utility Vehicles) at Rs. 77.5 lakh (ex-showroom, Delhi). Unveiled by Tennis star Boris Becker, the GL class car named 'Launch Edition' has at present only 100 units to buyers in the form of CBUs (Completely Built Units) and boasts of features like AMG body kit, heated leather seats and temperature-controlled cup holders. New Delhi, May 14 : Taking note of India's rising obsession with SUVs (Sports Utility Vehicles), Mercedes-Benz Tuesday hinted at launching a new entry-level SUV to compete with the likes of BMW X1, Audi Q3 and the soon-to-be-launched Volvo V40 Cross Country. Speaking on the sidelines of the launch of 'Silver Arrows', Noida's first Mercedes-Benz dealership, Eberhard H. Kern, managing director and chief executive of Mercedes-Benz India, said the recently unveiled GLA (entry-level SUV) concept could make it to India. Luxury carmaker, Mercedes Benz (MB) is gearing up to compete in better in the Indian market with new advanced models as the competition heats up between the top three German premium car manufacturers. Mercedes Benz has been competing with BMW and Audi in the growing Indian luxury car market for market share. The company's engineers are working on new improved versions with higher speeds and quality. All the new models will come with a fresh new MB face and feature advanced technologies that rival others in the market. Silverstone (England), March 28 : Sahara Force India has extended its association with Mercedes-Benz and will use its engines from the 2014 season when new regulations come into effect. The long-term agreement will see Mercedes-Benz supply Force India with a complete power unit, transmission and all associated ancillary systems in 2014 when 1.6 litre turbocharged V6 engines replace the existing 2.4 litre V8s.